I just returned from a short business trip to the mountains. I had to attend a meeting with some ER doctors at a resort in the mountains outside of Charlottesville, VA. The resort is Wintergreen and it is a ski resort in winter and a mountain retreat in summer. It’s a tough job sometimes, but somebody has to do it! My contribution to these meetings was to instruct the docs how to perform certain exams in the ER using ultrasound. We had live models and spent the afternoons doing hands on scanning. 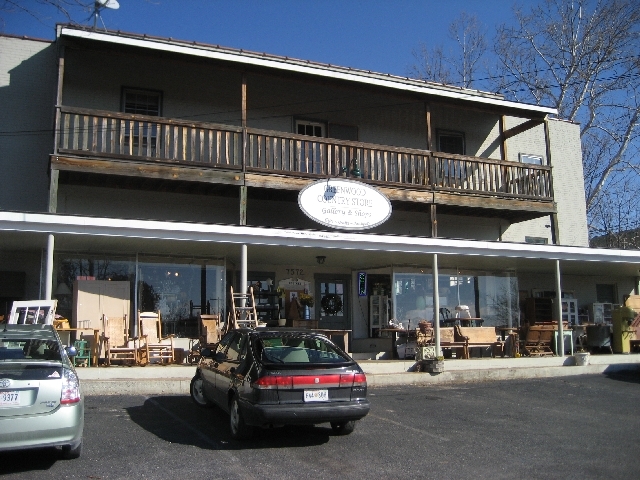 Yesterday morning I was free so I scooted back down the mountain to check out an antique mall that I had passed on my drive in the day before. The little sign by the side of the road that said "Antique Mall 1.3 miles" took me down a windy little sideroad to a tiny, tiny town called Greenwood. There I stopped in at the Greenwood Country Store. The Country Store was a lovely little antique shop and I did find a few baubles and treasures. 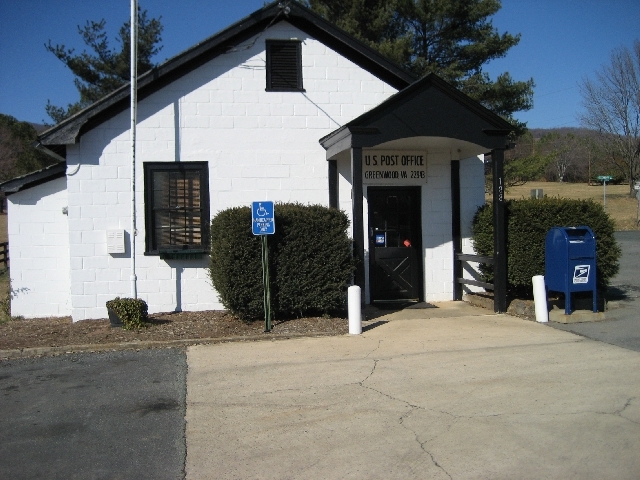 Across the street was the cutest little Post Office. Charlottesville and the hills of Virginia are just a gorgeous area. Full of rolling hills, old barns, funky roadside stops and gorgeous plantations. Yes, those granola crunchers have a lot of $$$$$$$$! Here is the typical homestead as you zip along Rt 250 towards the resort. Beautiful historic home. See the mountain views, ahhhhhhh. How lovely! Looks very peaceful and tranquil. yikes! wonder what those hippie types do/did for a living if they are building monsters like that? how sweet of you to post a picture of my summer home! lol. Wow! Thats a homestead alright! Hope you had fun! I am from Black Mountain, near Asheville- its full of granola eating, birkenstock wearin, tree huggers too! I love thos small towns on small roads..
Have you ever taken Rt 50 out of Leesburg to Winchester? You go through Hillsboro, Middleburg, etc. It is the loveliest area of the entire state I do believe and some great antiquing along the way. I used to live not far from there and hung out there constantly. 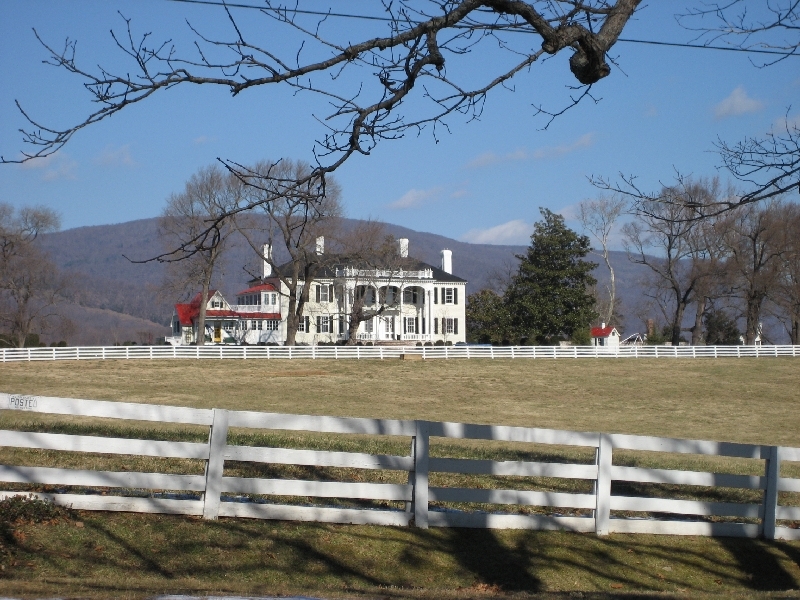 Middleburg is horse country and Robert Duvall has a farm there. Also, the former home of Jack Kent Cooke. How lucky you had some spare time to do a little looking around. I want to travel thru the U.S. so bad…and visit great thrift stores, too.